Kathy has joined the MFN team as an Associate Advisory Board member and liaison to the Medical and Therapeutic Massage Industry. Her experience as a practitioner, teacher, business owner, and much more, make her an ideal representative for the massage therapist community. Nationally Certified by NCBTMB and served over two years on NCTMB Ethics and Standards Committee. Kathy was honored to be chosen as a provider of massage to the US Olympic Swim team at the London 2012 Games, and has attended athletes at 2 other Olympic Games and three times provided massage at the Swimming Olympic Trials. Graduate of the WIN Therapy Massage School with a 1,000-hour certificate in Sports and Therapeutic Massage. She has taught Professionalism Classes there, and at Golden West College. Kathy specializes in massage for Cancer Survivors and patients, providing not only palliative care, but also Lymphedema management and post-mastectomy scar tissue release. Certified by Klose and Greet the Day. She also gets great satisfaction in nurturing Pregnant Mothers with skilled Prenatal Massage since 1999. Kathy’s clients have inspired her to learn more about Parkinson’s and balance-related disorders including Ataxia and Dystonia. She has been honored to present to local hospitals on the benefits and cautions of receiving massage for individuals living with these conditions. 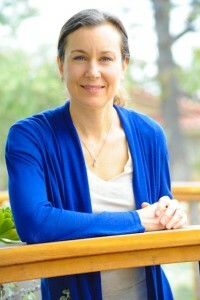 Learn more about Kathy and her California-based practice at Dynamic Touch.